The newest popcorn brand on the market, The Little Kernel is the perfect holiday healthy snack with a unique, hulless, "miniature kernel." Popped in 100% pure olive oil, each popcorn is gluten-free, non-GMO, dairy-free, kosher and certified with whole grains. THE LITTLE KERNEL left his mother’s cob on a small farm at a young age to join the Flavor Brigade, hungry for a taste of adventure. He quickly popped to the top of his class because of his insatiable desire for exploration and daring flavor combos. He continues to live his motto today: Never surrender to subpar snacks! 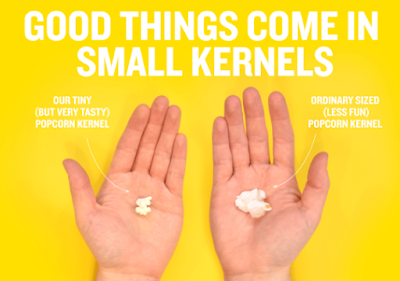 THE LITTLE KERNEL keeps it real with no artificial ingredients. 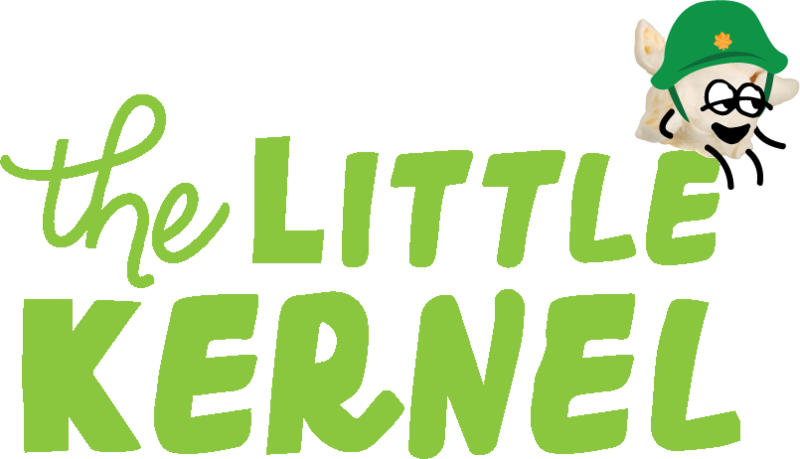 Popped in pure olive oil and using only quality ingredients, the Little Kernel is on a quest to bring you the best. Prepare your taste buds for their arrival at the frontline of fun with his lineup of adventurous flavors. You can purchase The Little Kernel at your local store.